If Cloud Computing Is increasing your monthly expenditure, you are doing something wrong. Here is the explanation towards the right way. It is applicable to any level of user – from a website owner to an enterprise. Basically, we are cutting down the cost by opting for virtualization solution instead of using our own hardware and other resources. Complains are more common from the small website owners because they either never takes a Cloud Consultancy – it is fact, if you pay us $100 one time fee, we not only can plan the best infrastructure for you but also there will be huge reduction in cost for lifetime. The service providers will want to make you use as much resource as possible – their business is to increase their revenue in a fair way. Our all resources are free to read, only reading this article will give the answer – If Cloud Computing Is Increasing Expenditure You Are Doing The Wrong. For personalized opinions, however, we are opening independent certified Cloud Consultancy and other cloud services. For example, we can deliver you an excellent infrastructure running WordPress with full management for $20 per month for ~60K monthly visitors. If we can provide you a managed for infrastructure $20 per month, it is very clean – if you can build it yourself, it will cost far lesser – we have a good margin for our profit, we have to pay Income Tax. 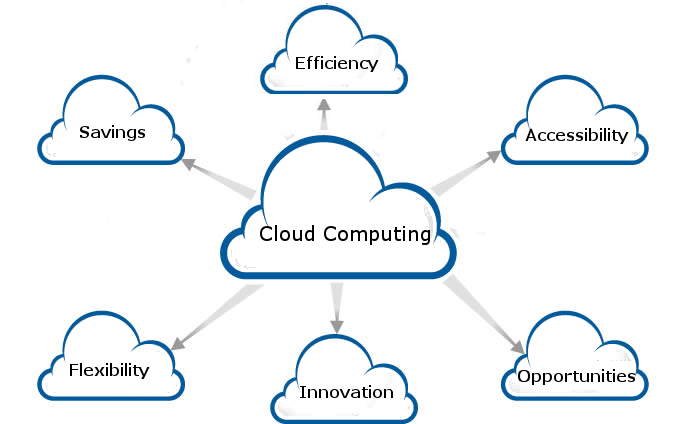 It is obvious fact – you should not use Cloud Computing as a solution for all type of infrastructure. There are situations where a Shared Server may be enough – like for a Personal Website. There Are Strategic Requirements for Including Cloud computing for Small Businesses. Why we use Managed Rackspace instead of Amazon for most of our websites? Definitely, we are not in loss. Definitely we are not spending more! We talked about the Hidden Costs of Cloud Computing. Also, we talked about Average Cost of Commonly Used Cloud Models. If you are using 5 servers for hosting WordPress – you are in a wrong model. The service providers will talk lot about scalability because they will assume that your website gets a million hits per day. Caching on Cloud Platform using Plugins is a loss. More you will cache, with increasing number of servers, you’ll get highly billed. Depending on the situation, may be – one server will be enough for one website or may be, two servers with half the RAM of one server will be enough for your website. Most Forum owners com pains of highly billed by Rackspace and end up with using a bad service, where there is no SLA. How much you know about SEO, Designing, Coding – it is not possible for you to calculate the right amount of RAM, CPU for database server. Yes, Managed service by most of the IaaS providers offer the best performance. But unfortunately, as the management is by the seller (think – the vendor has two products – the Servers and the Service for Management), they will try to push to sell more amount of resource or may be, with a good faith; they will configure in a way so that they need not to take any risk for a high load situation which can rarely happen and possibly the best way is to shut down the incoming requests than spend few hundred dollars – it fully depends on your need. This Article Has Been Shared 9051 Times! Cite this article as: Abhishek Ghosh, "If Cloud Computing Is Increasing Expenditure You Are Doing The Wrong," in The Customize Windows, May 10, 2014, April 21, 2019, https://thecustomizewindows.com/2014/05/cloud-computing-increasing-expenditure-wrong/.